Join the Ariah Studios mailing list for news, announcements, and more! 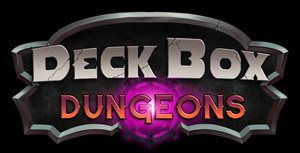 Deck Box Dungeons is a fantasy themed dungeon crawler with a companion app that fits in a deck box. Each player builds their adventurer by selecting a character	card, equipment card, and special abilities card. Builds can range from a standard stealthy rogue with daggers, to a mage that wields a greatsword. Players must work together to slay monsters, complete encounters, and achieve the goal of their quest. Each quest has a different goal, from escorting a priest to complete a ritual to killing a giant troll that has been terrorizing a nearby town. The required companion app handles the quests and encounters allowing for quick setup times and streamlined gameplay. Random encounters and quest generation provides variety and replayability even when playing the same adventures. Using an app also allows for gameplay to be re-balanced and additional new content to be added after release. Grow your own empire and lead an armada in PvP action. 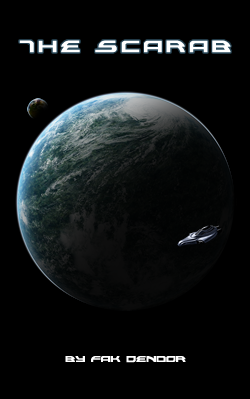 Form or join an alliance and participate with others in massive galactic battles. Join in the fight for control of the universe! The Command Crisis universe does not reset so your empire can grow as large as you can make it. Command Crisis: Callsign is a top down scrolling arcade shooter that features 18 story mode missions, 4 different ships to unlock and upgrade, an endless Endurance Mode and a random mission generator. There are also multiple mission types including survival, escorting, bombing and more! Command Crisis: Endgame is a round based version of the original Command Crisis. The discovery of an abandoned research facility catapults Commander Tras Sabot and his crew into a maelstrom of intrigue and civil war. As the dreaded Centrian AI programs execute their plans, the stakes are raised ever higher, until everything is at risk. In this, the inaugural Command Crisis novella, user Fak Dendor has opened up the world of Command Crisis and given depth to elements that before were only names. © 2017-2019 Ariah Studios, LLC. All Rights Reserved.